Choose RainSport 2 SUV tyres to make sure that no matter where you go, what conditions you face or what environment you are in, you’ll get the best performance, reliability and durability at all times. These Uniroyal options are a great choice that have an incredible lifespan and perform at a consistently high level on every journey, dealing with wet weather well thanks to improved dispersion and braking levels, as well as many more features. 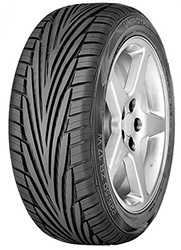 You can’t afford to miss RainSport 2 SUV tyres.